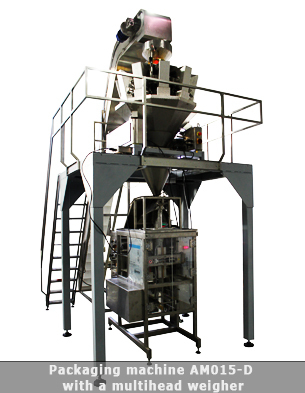 More affordable solution for making doypack bags, compared with the horizontal form fill seal machines. Takes much less space than HFFS machines. 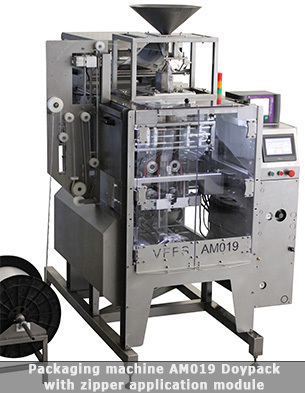 Video 1: Vertical packaging machine AM019 (doypack edition), equipped with a zipper application module.